Lighting any type of religious building for a special occasion means a close eye to detail is required; so when Cologne Cathedral call for special lighting, they really mean it! 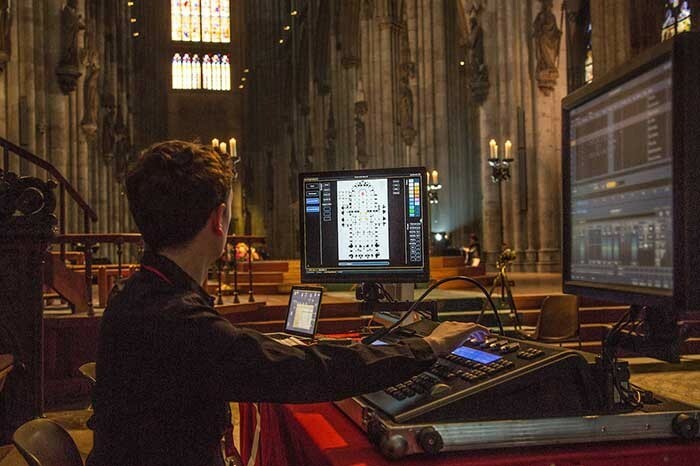 To create Lux Eucharistica, an amazing dynamic audio visual show gracing Cologne Cathedral’s recent Eucharistic Congress 2013, the management called on illumination art specialists Friedrich Förster und Sabine Weissinger of Casa Magica in Tuebingen, southern Germany. They, in turn, enlisted ETC Ion control desk expert Matthias Strobel to help program the spectacular projections and colourful light. The event used the Selador LED fixtures along with large-scale scrolling projections from Pani projectors to artistically express the topic of the congress. Live music complemented the images and colours, dramatically highlighting the gothic architecture. The aim was to inspire and awe the 45,000 people attending the event, including 40 bishops. Organized by the German Bishops' Conference and hosted by the Archdiocese of Cologne, the five-day event this June included worship services both inside and outside the churches in central Cologne, along with theological discussions and lectures, a youth festival, and charitable projects. 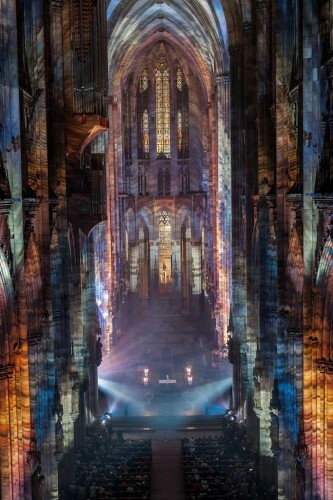 Each evening concluded with a service and stunning Casa Magica light and sound shows in the Cathedral. The event is held every one to three years on both national and international levels.